There are petitions going around urging Justin Trudeau to appoint Elizabeth May as Environment Minister. After a decade of Stephen Harper’s “war on science”, we finally have a government committed to returning to evidence-based decision making. Trudeau wants to bring back the long form census. He wants to make scientific committees independent again. He’s committed to bringing knowledge and scientific literacy back into public policy. Elizabeth May and the Green Party, on the other hand, are a fringe party with a strong fringe lunatic contingent. Yes, they’re shiny and feisty people are prone to like them, and May in particular. And sure, the above was from their 2011 platform. Since then, the Green Party has backpedaled on some of that nonsense. But not all of it. Which makes sense when you consider that it’s a fringe party, and has to pander to its fringe base for votes. If the party were to grow to become more mainstream, it’s likely that the fringe element would be calmed. But that’s not enough. I want someone as environment minister who finally is going to make real, evidence-based policy decisions about the environment and fight climate change based on actual science. There’s just no room for woo in this job. 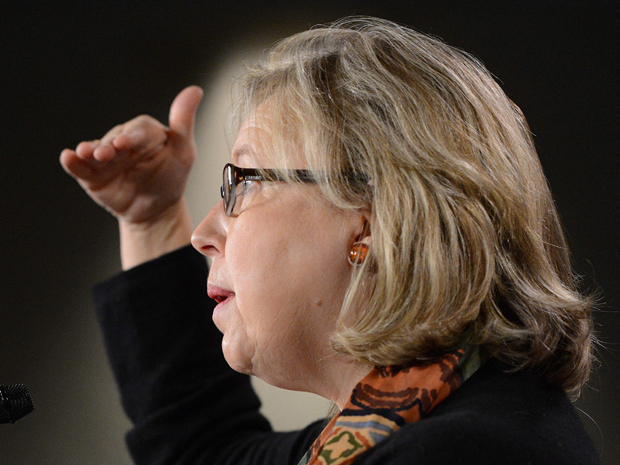 While I applaud the spirit of reaching across the aisle, I think Elizabeth May is wrong for the job. I’d think she was wrong for the job if she were a Liberal, too. In my opinion, someone like Stephane Dion would make a terrific environment minister. There may be other places where Trudeau could reach across the aisle. But please don’t do it at the expense of science. Previous post: It’s a Liberal majority!